I have a problem with my Setup M600 pro with Ronin MX and a third party camera (Sony Alpha7). The qestion is that I have is the problem that the Remote Start Stop don´t trigger the camera in the Groundstation Pro app automatically. But I can trigger the camera over the remote control......That is possible. So.....is this only a simulation mode problem or is the remote start stop RSS not compatible? I have testet to make photos over equal distance and hover and capture point. Hi Holger, sorry for the trouble on starting/stopping camera, RSS Control Cable for Sony is used to connect Remote Start/Stop Camera Port to Sony cameras. Please connect the device to DJI Assistant 2 and check if the Shutter is mapped to any F channels, if yes, please cancel it and try again, thank you. I must correct me. After some curios functions and more pictures as it should be. Yes it worked now with the Groundstation Pro app but the result is that I have more pictures as desired. There is a bug in the Firmware. If I don´t map the shutter on any F Channel, the RSS triggers the camera twice. 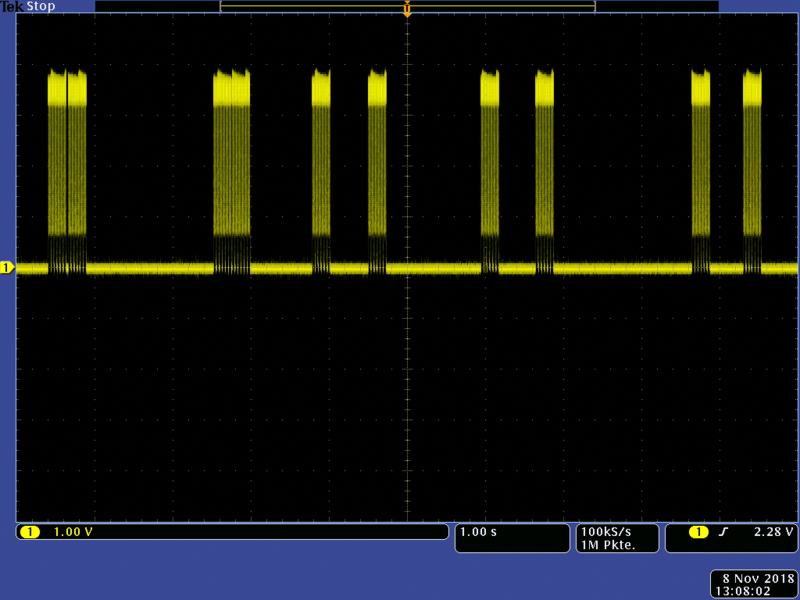 Sometimes the pulses are direcly in series (then the camera triggers one time) and sometimes the pulses are 600ms behind. 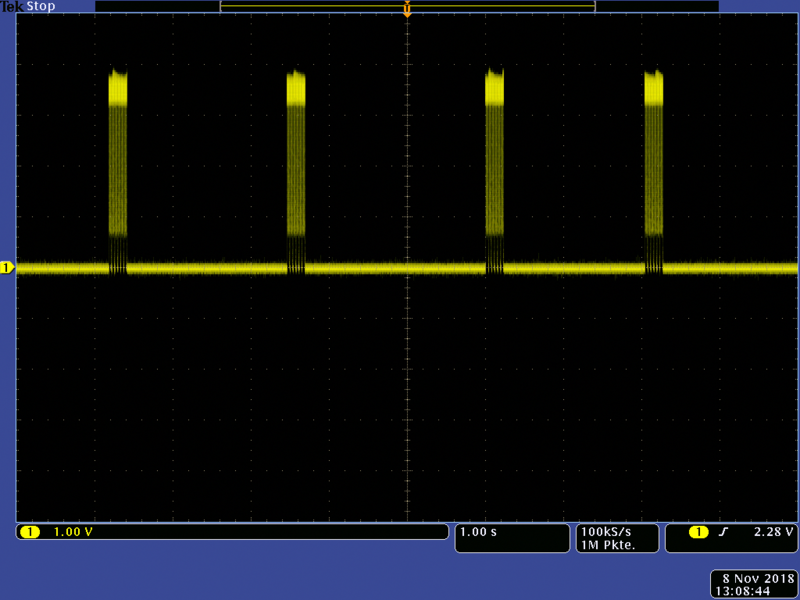 If I map the shutter on any F channel then the RSS worked correct and only generate one pulse as it should be. I have tested it without the Groundstation Pro app ....only with the remote control. See the pictures....I have measured it directly on the RSS - pin. sorry I mean: If I map the shutter on one of the F channel then the RSS worked correct and only generate one pulse as it should be. Then I find out that I can´t use it in a way that it should be. And frustrating is that nobody give me an answer about this issue. Not here and not over E-Mail support. That is DJI-support......only transfer to anaother............ than silence...........months.......years?